"The more help a person has in his garden, the less it belongs to him." Somehow we just don't see our gardens in the high-tech zone. Just doesn't seem right. Gardening is kind of magical to us. 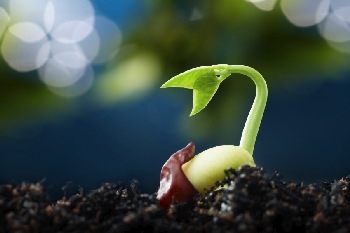 Just you and the seed and the soil (or hydro medium). But, we admit we do use a couple of gardening gadgets to help fend off pesky critters like deer, rabbits and birds (we live in the forest). 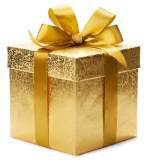 Learn about our experience with these items and why we recommend them. We also share below some interesting and promising gardening gear that you might be interested in, and explain why we DO NOT recommend a handful of others. We have two of these effective but humane devices that we use to keep deer, rabbits and our cats and dogs out of our summer vegetable garden. It really does work! A motion sensor detects when four-footed veggie thieves and birds come for a snack; this kicks on a 3-second spritz by a sprinkler, which sends them packing. It runs on batteries and a hose hookup; battery lasts for months. We love the ScareCrow by Contec and highly recommend it. 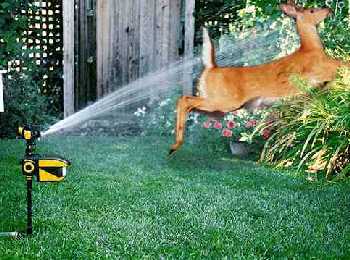 Just don't forget to cut the water to the device before you enter to do some weeding or harvesting. 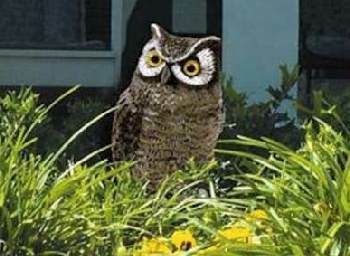 Every open-air vegetable garden or orchard deserves a fake owl. It's an old farmer's trick, and even boaters have used fake owls to scare off birds. We set ours up next to our blueberry bushes and grape vineyard to keep birds away during fruit-ripening season, which has worked fairly well for us. Really, any brand will do. The link above is to an "Amazon's Choice" scarecrow owl. It is nice-sized at 16" and reasonably priced. These looked intriguing to me, so I thought I would include them as an alternative/passive means of watering a small garden. 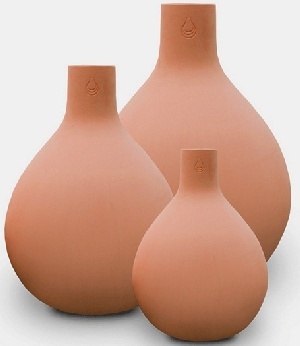 These porous terracotta pots work by seeping water deep below the soil surface, keeping the plant moist and encouraging it to send roots deep, which is best for plant support and health. The Oya Company claims this type of "automated" watering system can save up to 70% of water use. As you only have to refill the pots every 7-10 days, this would free you to go on a short vacation without worrying about your veggies dying of thirst. Kind of like an automatic fish feeder for your aquarium. I thought the GrowOya would go hand-in-hand with square foot gardens. One Large Oya would be perfect buried in the center of each 4'x 4' raised bed. A tad pricey, but once you got set up, this could make for a very cool square-foot-garden passive/automated watering system. Is your garden out of range of your garden hose, or would you like to build a vegetable garden in that sunny spot remote from your house? Check out this clever garden gadget. 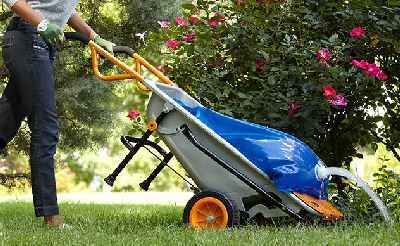 This collapsible water bag rides in your wheelbarrow, allowing you to transport up to 21 gallons/80 liters of water where needed. (Would work great for weekly refilling of the GrowOya pots above). The sturdy bladder would also be useful for landscapers, on construction sites, and for watering livestock. 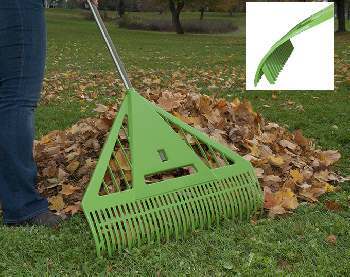 The Ames Company offers a leaf rake with two rows of tines, which keeps the teeth from clogging and lets you rake up much faster and easier than with a traditional rake. 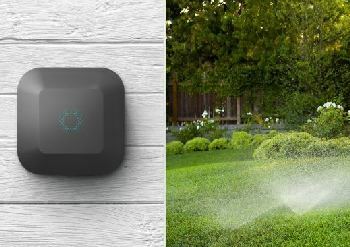 This automated irrigation system accesses local weather data and information you input on your lawn and garden zones to optimize and control water use. According to Blossom, the manufacturer, this unit cuts water waste to the tune of $300 per year savings on your bills. 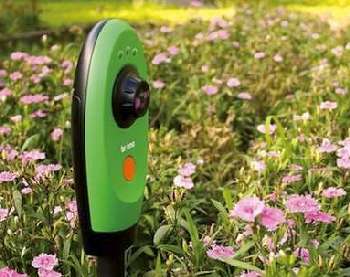 The Blossom replaces your current irrigation controller, and takes over water regulation. An app also allows you to control your watering system with a smartphone or tablet. Sounds pretty good, right? The reason we don't think the Blossom system would be that effective is because it relies on internet-provided weather information, and not actual physical data gathered right from your own yard. How many times have you looked at the real-time satellite map on the internet; it showed heavy rain in your area, yet the rainfall actually passed you by? They made this thing so high-tech, and it didn't really need to be. Why not have the controller hooked up to a simple electronic rain gauge monitor? Skip all the internet/wifi/app interaction and just have the irrigation schedule scale down watering based on the amount of rainfall actually detected in your lawn/garden? Also, the adverse reviews of the Blossom centered mainly on problems with the wifi interface. I rest my case. I just don't know if I'm ready to turn a potentially dangerous machine with sharp cutting blades loose on my lawn! I used to be an ER nurse, and this device sounds about as safe as the lethal combination of [65 year old man + chain saw + ladder + palm tree]. 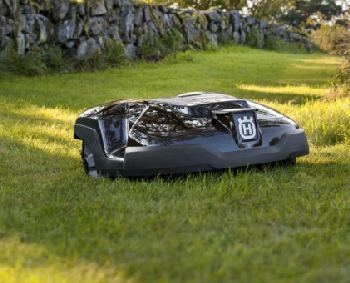 Although some of the reviewers reported good results, others claimed it was pretty much like a first generation Roomba (robotic vacuum cleaner), getting mixed up, stuck and zigzagging all over your yard, yielding an unacceptable appearance. Also, the setup, using buried wires to contain the beast, sounds like quite an ordeal to install. Seems like they just don't have this high-tech gadget perfected yet, unless you go high-end and spend a fortune. 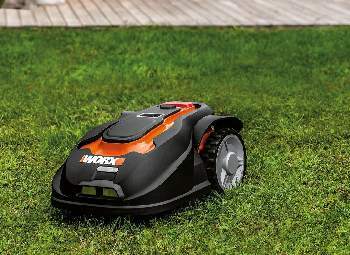 We will keep an eye on robotic lawn mowers and keep you posted on developments. Good Lord! $240 to spy on your garden? Okay, we saved the worst for last... and no, we did not make this up! 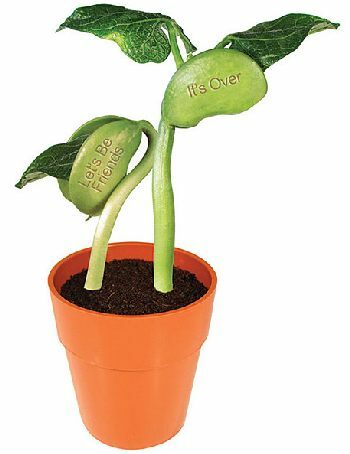 These folks have come up with a way to laser-engrave lima bean seeds with a written message that does not appear until the beans actually sprout. This has got to be one of the most ridiculous, classless and tasteless things we have ever seen. 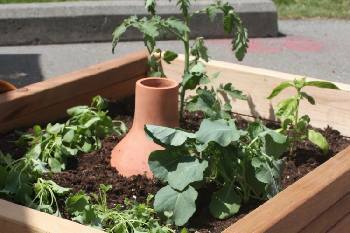 For the easiest way ever to create and maintain a productive soil-based garden, read up on the Square Foot Garden. We love hydroponics, and know you will too! Read all about it and decide whether to do-it-yourself or get a simple Hydroponic Kit. Put some color and life on your kitchen counter with this Hydroponic Herb Garden Kit. Greenhouses... a gardener's nirvana! Check out our Greenhouse Page to explore more recommended options.